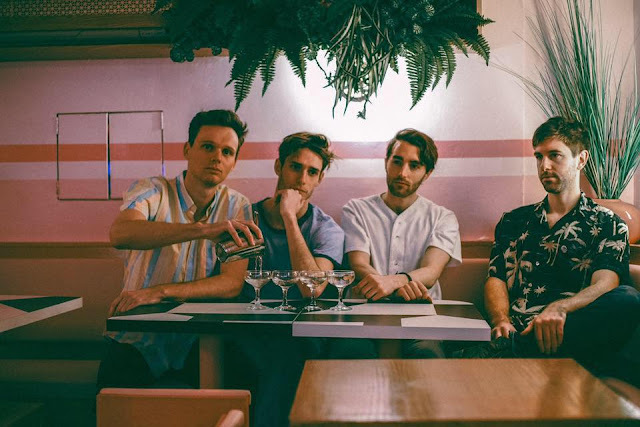 Home / brand new / brand new artist / música / Plastic Picnic / Plastic Picnic Unveil New Single "Bite"
Plastic Picnic Unveil New Single "Bite"
Time for some super groovy music guys. Brooklyn based band, Plastic Picnic, have unveiled their brand new single Bite. If you're into indie-pop than you'll love this one. Super addictive percussion, amazing guitar riffs, shimmering synths, and dreamy vocals. Such a feel good atmosphere! Stream it below! Plastic Picnic is comprised of four Pacific Northwest transplants. The duos – Lute and Panerio, and Hunt and Taylor – developed their styles playing in separate Seattle projects. It wasn’t until moving east that the pairs were brought together by a mutual friend. Instantly compatible, the group shared a taste for lyrically forthright indie rock paired with driving 80's rhythms, sweetly spun melodies and atmospheric synth and guitar work. Plastic Picnic are currently out on their fall tour, which will finish off with an EP release party @ Berlin in Brooklyn.